Supersport soccer analysts have voiced out their concern over negative effects that will follow once Uefa president Michel Platini will get voted as Federation of International Football Association (FIFA) president. During a live broadcast of Soccer Africa show on Supersport 9 the previous night, the critical eyes of African soccer spoke their mind. Their fears lie in Platini’s ambitions of turning the global football body into a European phenomenon. South Africa award winning sports journalists, Thomas Kwenaite said that the French man dreams of using the body as a tool for promoting European football at the expense of the rest of the continents. In strengthening his claim Kwenaite cited a number of Platini’s darker sides with regard to football. He said Platin jeopardized United States of America’s (USA) right to play host to the 2022 Fifa World cup thus it was awarded to Qatar. The other ugly part of the Uefa president as cited by Kwenaite was exposed when he (Platini) proposed for a European World Cup and that European national teams should stop having friendly matches with non-European nations. Platini has also been largely criticized for not being serious enough towards curbing racial segregation in football. 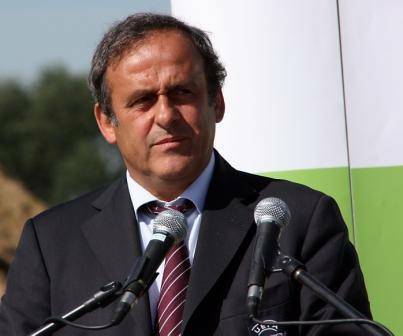 The same Platini was again at the centre of proposing an increase in European teams in the Fifa World Cup while reducing teams from other continents. Another soccer analyst Jeff Kitala said that Platini has failed to be an exemplary leader for the European football body, Kitala cites Platini’s failure to end racism in European football, when the fact that global football involves racial diversity is taken into account, it is doubtful if the French man can deliver. The analysts urge Confederation of African Football (CAF) to support either of the two Africa’s representatives, Liberian FA president Mussa Bility and South Africa’s business tycoon Tokyo Sexwale. They believe Africa has a numerical advantage of 54 associations that can help in denying Platini the opportunity to lead Fifa. However they said they could have loved if Africa had one representative to avoid divisions. On a positive note, Mussa Bility earlier this week said that he is ready to step down should Sexwale prove to be man of the people. He is planning to meet Sexwale so that they can discuss who should stand. Out of the seven candidates, Platini is considered to be the possible successor of Sepp Blatter come the 26th of February 2016. Platini is currently being investigated by Fifa for corruption charges alongside former Fifa leader, Sepp Blatter. platini has limited vision and hence not fit to lead fifa. There are several capable persons outside. Platini causes a serious act of plagiarism. How can he proposed the extra Assistant Referee as his idea the next day following WC 2002 when he knows pretty well of my works which I gave fifa a full set of my manuscrip in year 2000. He was then the chief advisor of Blatter & fifa.